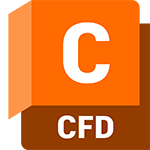 Compare Autodesk CFD to Autodesk CFD Advanced and Autodesk CFD Motion. CFD Premium provides complex solving for fluid flow and thermal simulation. CFD Ultimate provides advanced solid body motion simulation in addition to fluid flow and thermal simulation abilities. Complex solving for fluid flow and thermal simulation. Advanced solid body motion simulation in addition to fluid flow and thermal simulation abilities.